Since last summer, legislation that would regulate the deployment of self-driving cars has been kicking around the U.S. Congress. Given the frenetic pace of, uh, all the other stuff happening in D.C. right now, it hasn’t been much of a priority. But automakers would like to see something passed, for a few reasons: the proposed bills primarily allow automakers to eventually deploy up to 100,000 vehicles annually that are exempt from existing auto safety standards. Currently, lawmakers can only seek an exemption for 2,500 vehicles. And rather than have a scattershot of state laws, federal legislation would establish some sense of uniformity. 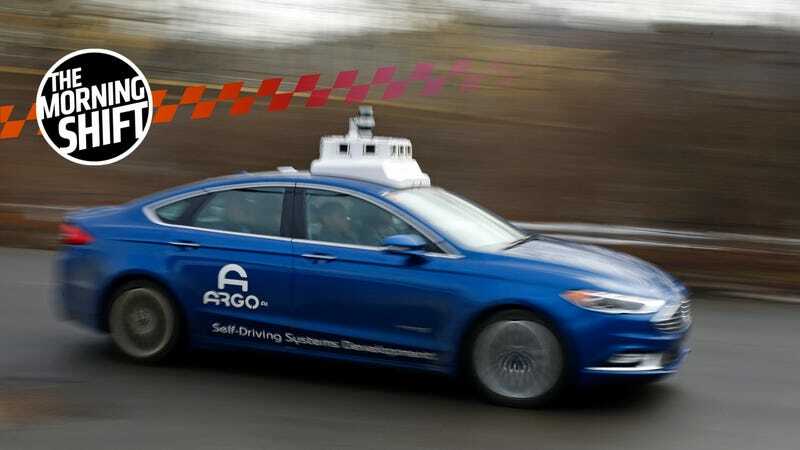 There must be a growing sense that pro-autonomous car lawmakers are preparing to take the bills up again, because a broad coalition of public interest organizations has issued a stinging letter that urges automakers to pump the brakes and take their time, according to Automotive News. In a letter to Senate Majority Leader Mitch McConnell and Democratic leader Charles Schumer, the coalition said automotive and technology companies have misled the public about how soon automated vehicles will be widely available and how regulation is an impediment to innovation in the global race to harness mobility solutions with the potential to reduce traffic fatalities, congestion and air pollution. “Baseless and exaggerated predictions about the readiness and reliability of driverless car technology are propelling legislation that significantly strips the current federal regulatory system of its appropriate authority and oversight thereby endangering the safety of everyone — both motorists and non-motorists,” said the 27 signatories, representing public health and safety, bicyclists, pedestrians, consumers, disability communities, law enforcement, environmentalists, first responders, smart-growth advocates and crash victims’ families. In other words: as we’ve said repeatedly, this stuff isn’t ready yet, and don’t think it is. Two recommendations from the letter that stood out to me are pretty solid, in my opinion: increase the U.S. National Highway Traffic Safety Administration’s budget to adequately oversee autonomous cars (good! ), and also include semi-autonomous systems (also good! ), like Tesla’s Autopilot or General Motors’ Super Cruise. NHTSA just opened an investigation into Autopilot over a recent crash in California. We should let regulators have some insight into any kind of system that cedes control of the wheel to car itself. What’s this mean? The AV legislation isn’t a given, and it faces a pretty steep uphill climb from here. Li Shufu, the billionaire owner of China’s Geely, made waves last month when he announced a new, massive stake in Daimler. What some may not know, is Geely got its start by disassembling a car made by one of Daimler’s biggest entities, reports the Wall Street Journal. Two decades ago, technicians at a little-known Chinese motorcycle company called Geely launched their quest to start building cars by stripping down their boss’s beloved Mercedes-Benz, piece by piece. They were unable to put Li Shufu’s Mercedes back together again. But they did figure out how to make the company’s first automobile, the 1996 Geely No. 1, a Mercedes knockoff. Through it all, Geely’s grown into a massive player, just as Li years ago said it would, the piece notes. It’s a lengthy, insightful read that’s well worth your time this morning. The Mexican and Canadian ministers are likely to press Trump’s trade envoy for more details on how their countries could be excluded from the blanket tariffs. “I expect it to be front and center” at the meeting, said Kevin Brady, the Republican chairman of the U.S. House of Representatives Ways and Means Committee, which oversees U.S. trade policy. Officials have so far been evasive when asked how the three nations can continue trying to update the North American Free Trade Agreement at a time when the U.S. president is about to take a highly protectionist measure. There’s one more planned round of NAFTA talks after Monday. I wish I had an educated guess on how it’ll end up, but who the hell knows at this point. Black Panther, the blockbuster Marvel superhero film I’ve yet to see but am so damn excited to watch, features some guest appearances from a new Lexus LC prototype. The film’s earned close to $900 million worldwide, and, as a result, Lexus is pretty stoked about it, according to Automotive News. The project, it turns out, was a bit of a risk. Lexus had concerns the high-profile movie could’ve fallen flat at the box office, reports Automotive News. To start, timing wasn’t on Lexus’ side. 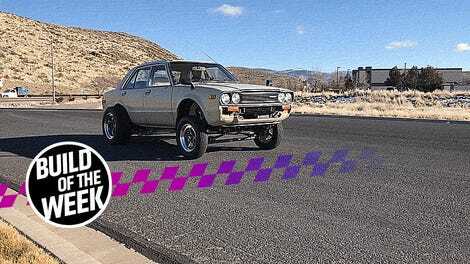 When the movie was being filmed, the LC coupe that is featured in a breathless chase scene on the streets of Busan, South Korea, wasn’t yet in production, said MaryJane Kroll, media manager for Lexus marketing. The automaker’s marketing team had to persuade its top engineers to hand over some early LC prototypes, which are hand built. “It’s never an easy process to say, ‘I need six of your precious flagship cars ... and by the way, we have to be willing to destroy them,’ “ Kroll told Automotive News. Product placement! It works, sometimes. It’s been a tumultuous few weeks for General Motors’ unit in South Korea. The automaker is planning a massive restructuring of operations in the country, which didn’t sit well with South Korean officials. But weeks on, a plan appears to be in motion. About 15 percent of the South Korean staff—about 2,500 people in total—applied voluntarily for a redundancy package that GM’s offering as part of the restructuring, Reuters reported. The relatively strong number of applicants could make GM’s task of negotiating with the unions and the government somewhat easier, although the automaker still faces many obstacles after saying last month it would close one South Korean plant and was weighing the fate of its three remaining factories. “It looks the redundancy program has been well received by workers,” said Cho Seong-jae, a senior fellow at the Korea Labor Institute. “It seems that workers have given up any hope. They are fed up as the Gunsan factory has been underutilized for the past two to three years,” he added. Reuters nabbed a document that says GM plans to ultimately cut 5,000 jobs in South Korea, so long as the government In Seoul agrees to a massive financial incentive package worth $2.8 billion. That’s quite a cost for doing business. Do you think it’s important the federal government weighs in and sets uniform policy for autonomous cars, before they hit the road en masse?